Mullins have a range of wheel caps and wheel nuts to suit our Ranger White Steel Wheels range. We have Pressed Steel Domes in white or chrome finish to suit Ford & HQ steel wheels. 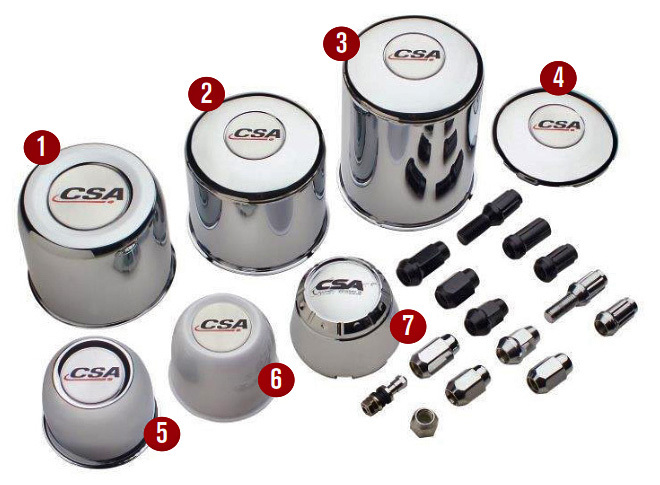 We also have Short and Long Chrome Steel Tube Caps to suit most 4x4 vehicles. 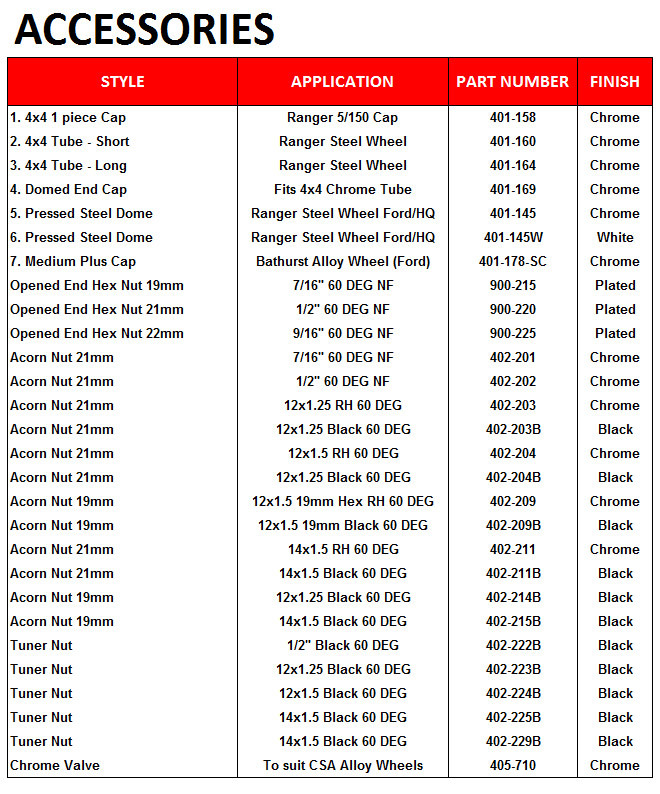 Open End Hex Nuts and Chrome Wheel Nuts are also available to suit Mullins steel wheel range. Note: Centre Caps and Wheel Nuts are optional extras and are not included when purchasing steel wheels.